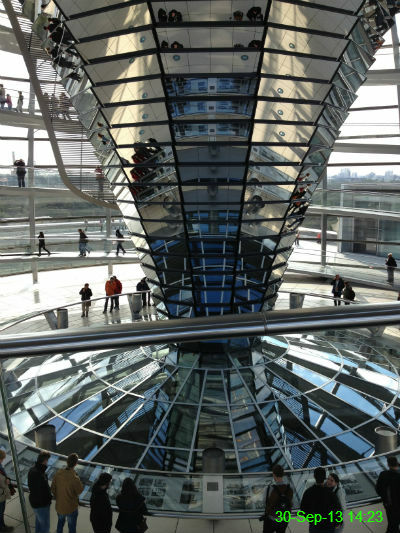 We had registered to have a look around the Reichstag Dome and this was the mirrored centre. There was an audio tour to guide us round which was interesting and informative. I didn't even know this was taking place today until we left our hotel and saw the wheelchair racers going past! 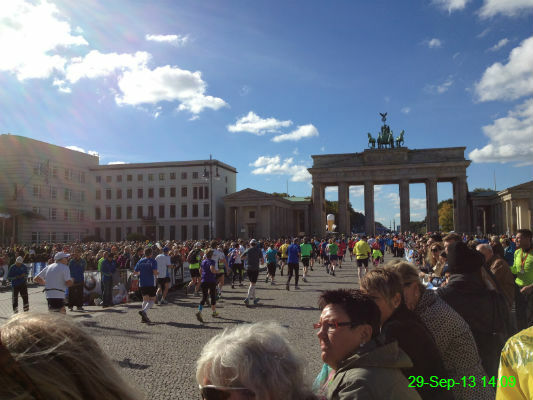 As the race neared the end, the participants ran up Unter den Linden towards the Brandenburg Gate. 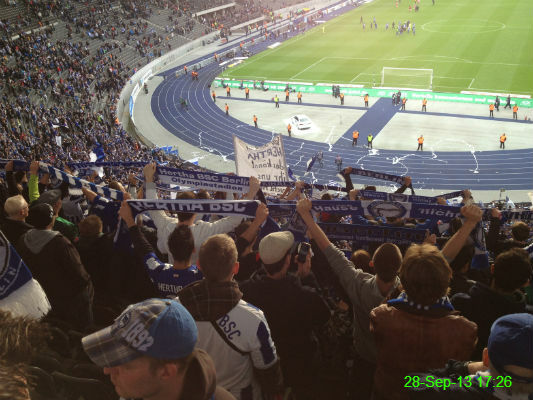 We went to the Olympiastadion to see Hertha BSC come from a goal down to win 3-1. It really was a brilliant experience, with the fans in great voice and a lap of honour from the team at the end. 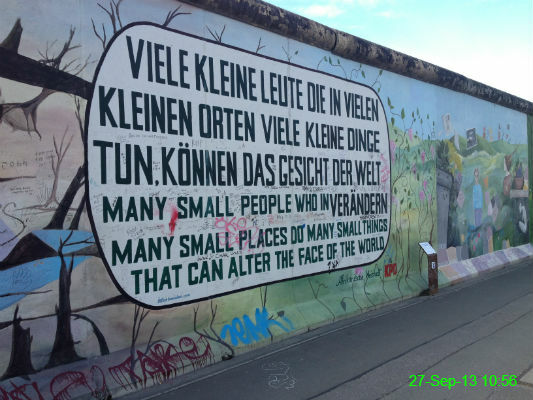 A remaining section of the Berlin Wall has been made into something of a street art gallery and it was fascinating to walk along and see what had been added, not only by talented artists but also the little scribbles of tourists who wanted to leave their own mark. 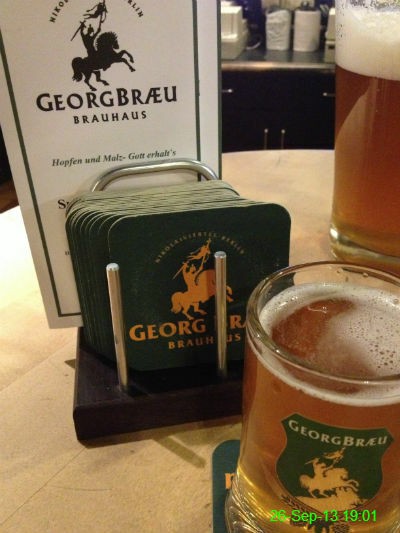 We sampled several different beers while wandering around Berlin, including this one from a brauhaus in the Nikolai Quarter. 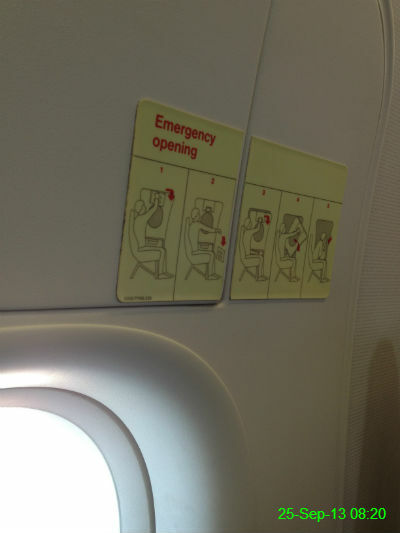 As I hate flying I was alarmed when the flight attendant asked me to sit in a row on my own next to one of the emergency exits. I made sure I took in the information but thankfully it wasn't required. 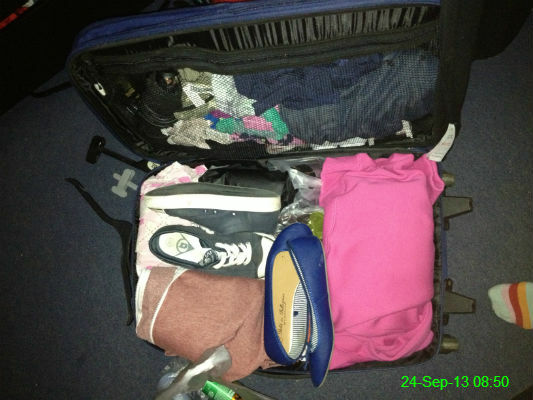 The packing isn't even finished and the suitcase is already rather full! 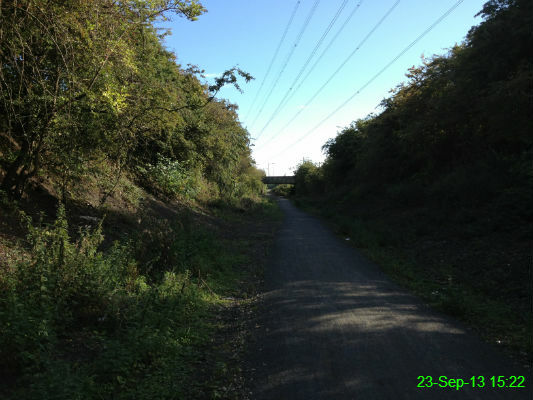 I went for a 9.7 mile walk from Killingworth to Whitley Bay, as it was a lovely day. 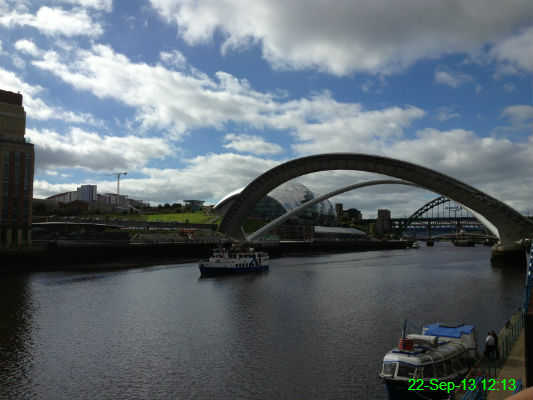 A walk along the Quayside brought a rare chance for me to see the Millennium Bridge tilt to allow a boat to pass. 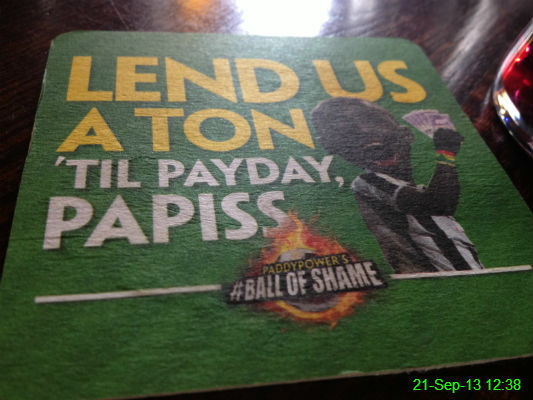 I liked this beer mat in the Three Bulls Heads before Newcastle played Hull. Unfortunately Papiss Cisse didn't score today and Newcastle managed to lose 3-2 despite taking the lead twice. Yesterday I went for some blood tests to find out if there's an underlying cause behind the Raynaud's which affects my hands. Unfortunately they didn't take all of the samples they required, so I had to come back today for another visit. 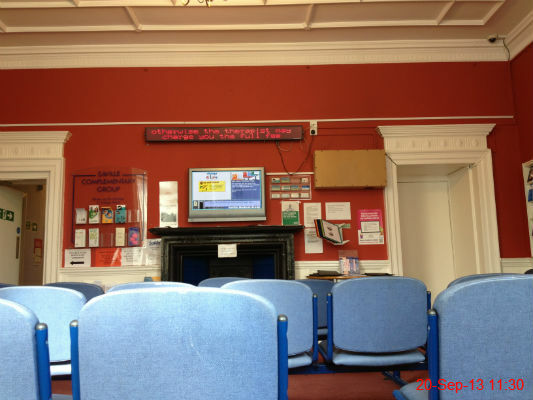 My appointment was at 11.15am so I was becoming a little impatient by this point. 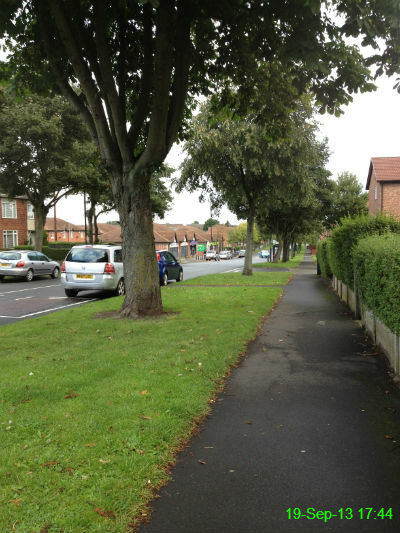 Walking from Four Land Ends to Forest Hall took me down Hailsham Avenue, which holds many memories as it's where my high school is situated. 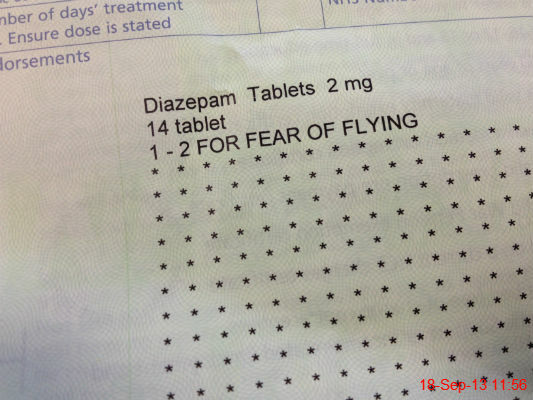 I don't like flying so I went to the doctors to get a prescription for diazepam to calm me down. I don't recall previous prescriptions ever having specified what it was for on the actual printout! 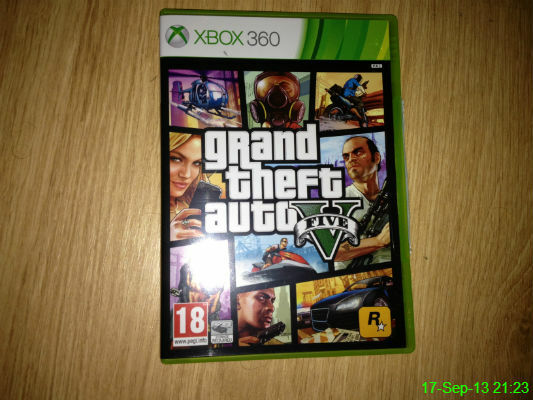 My chances of watching any television have plummeted as GTA V has arrived. This toenail has been black for a few weeks and I'm terrified it's going to fall off in my sock one day. 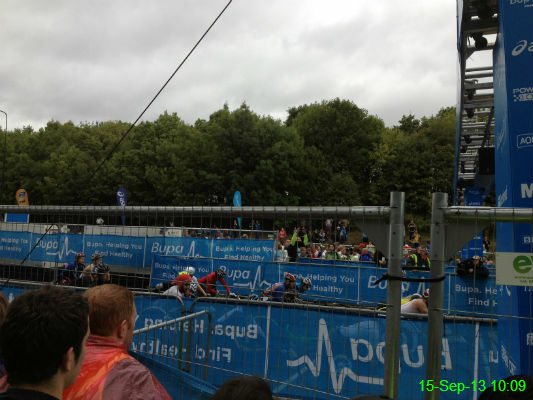 I passed the start line just as the wheelchair racers were lining up. A while later I was underway for my third Great North Run, which I completed in 2:08:30. It was a new personal best but I think I could've finished a bit quicker if it hadn't been so congested at some points. I suppose that's enough of a reason to sign up again next year! 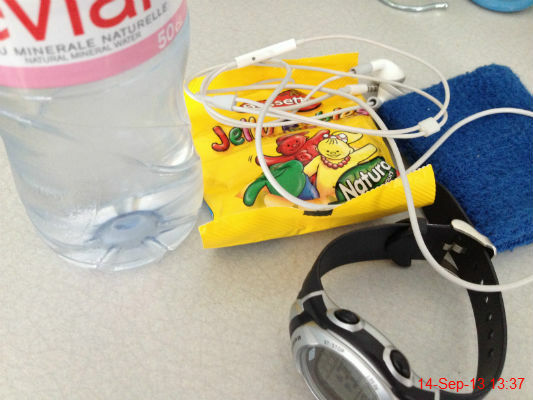 Just a few of the essential items needed for a half marathon. 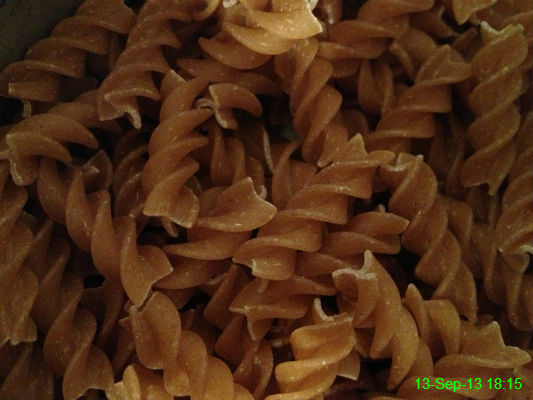 It's time for carb-loading, so I'm having my own personal pasta party. 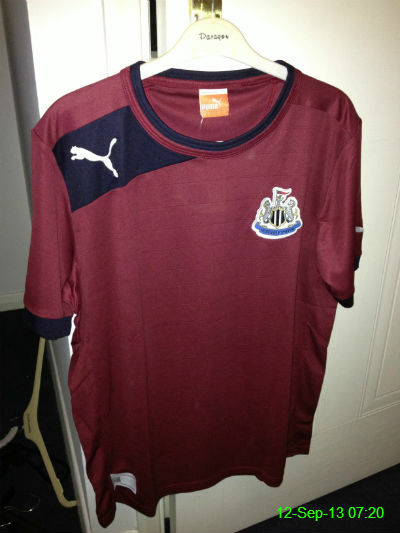 I needed something to wear for this year's Great North Run so I picked up last season's away shirt. The sponsor has changed so this one is naked, but it leaves a lovely space for my race number. 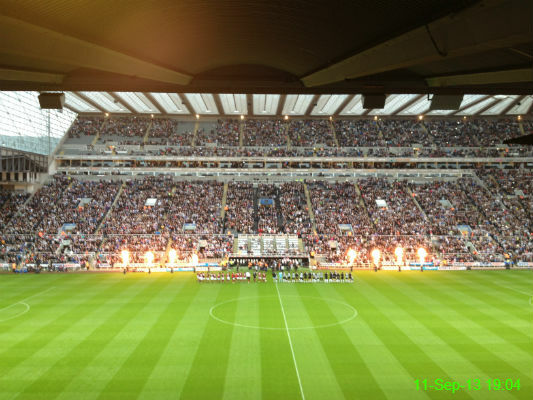 Steve Harper's "testimonial" was a match in aid of charity, between Newcastle heroes from years gone by and AC Milan legends such as Baresi, Maldini.. and DiCanio (currently manager of local rivals Sunderland). It finished 0-0 and after a typically farcical penalty shootout, AC Milan were the winners. It was a great night, but so bizarre to see players spanning several eras all on the same pitch! 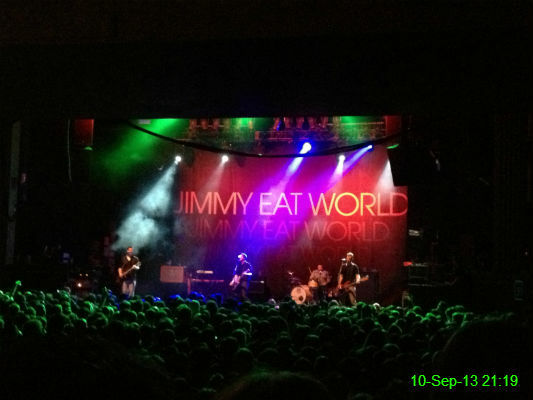 I'm a big fan of Jimmy Eat World and since I'd only seen them live once - at a festival - I was over the moon when I heard they were coming to the O2 Academy in Newcastle. Unsurprisingly, they were brilliant live and played a setlist full of classics and a handful of the best songs from their newest album. 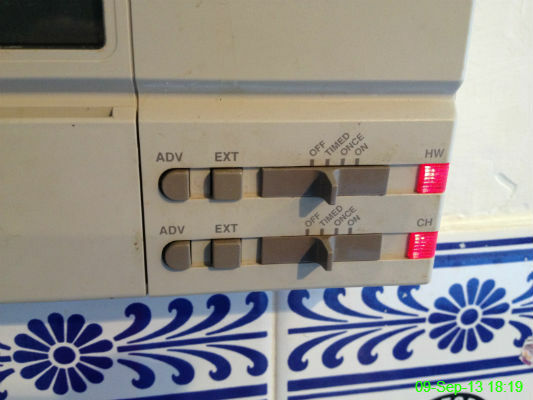 I was cold when I got home today so, reluctantly, I put the heating on. 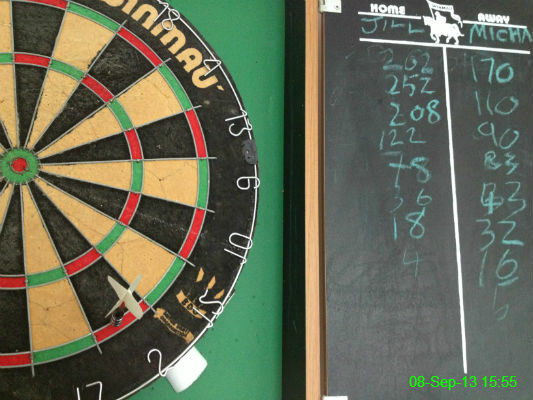 Our first game of darts ended triumphantly for me. After fairly lengthy attempts at checking out on both sides, I finally managed a double 2. After three games, the score was 3-0 so I think it's safe to say I've developed some beginner's luck. 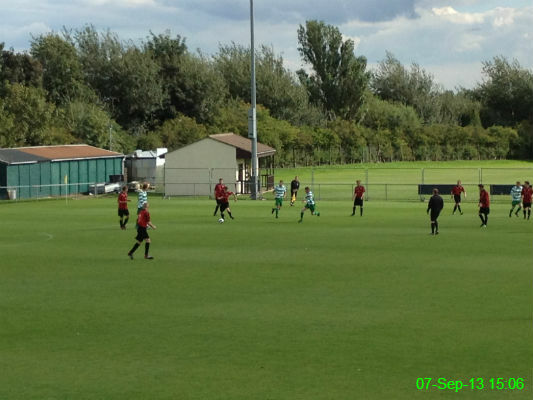 The international break meant no Premier League fixtures this weekend, so we took part in Non-League Day instead and went to see West Allotment Celtic play Stokesley SC in the FA Vase. Celtic cruised to a 4-1 half time lead and despite taking their foot off the gas in the second half they held on to win 4-3 and progress to the next round. 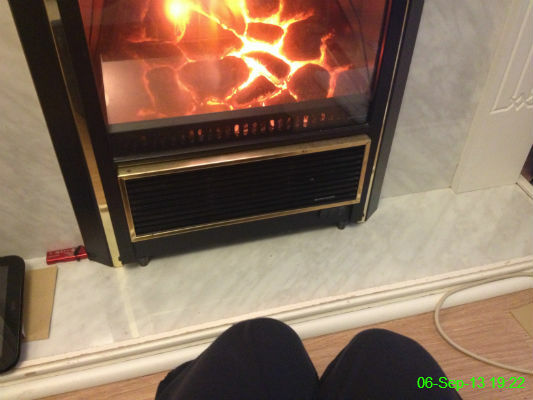 After getting soaked by rain on the way home I warmed/dried my knees in front of the fire while my tea was in the oven. 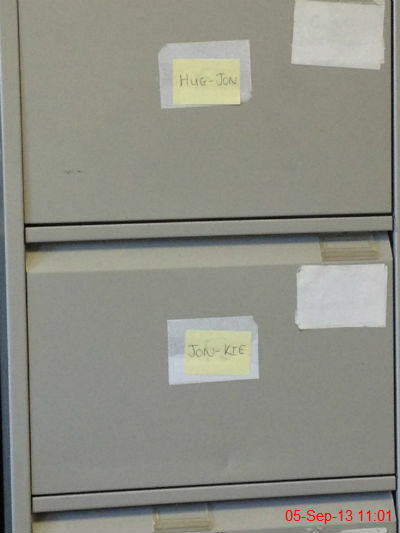 I'm not sure I like the subliminal message that I'm receiving from the labelling on this filing cabinet at work.. especially since my boss is called John. 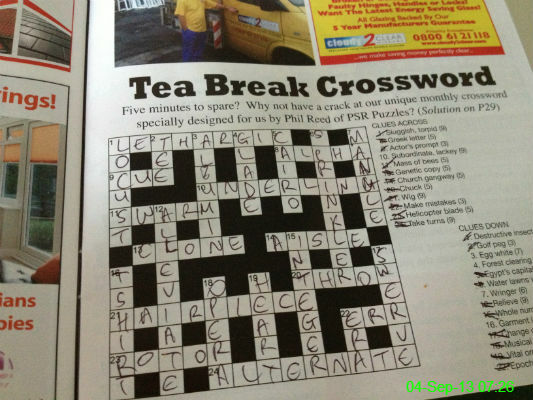 I finished this off over breakfast rather than tea, but it still counts as a success. 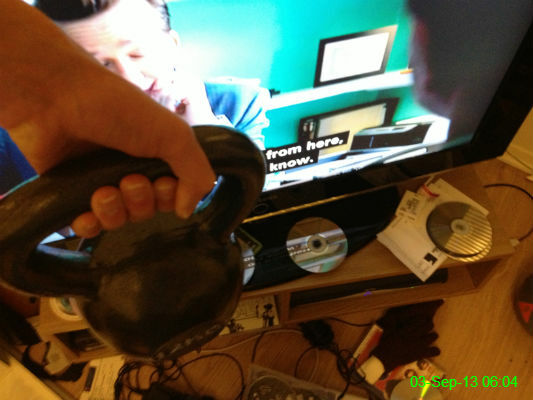 A very enjoyable start to the day: an episode of Dexter and a kettlebell workout. Since it was early in the morning, I put the subtitles on rather than turning the volume up too high. 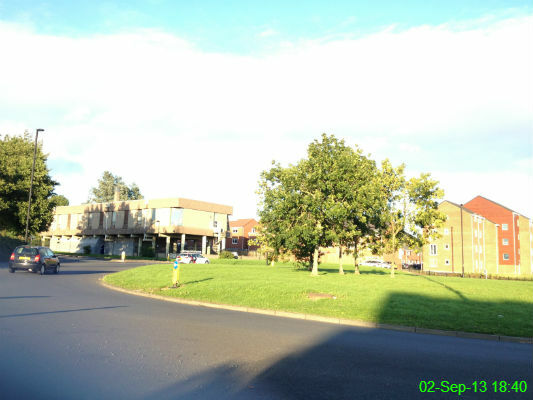 I made the exciting journey around this roundabout to get to Morrisons for a bit of shopping. 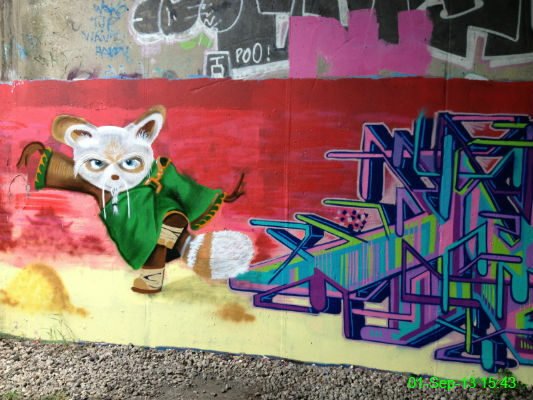 We walked from Killingworth to Tynemouth and stopped to admire some of the graffiti artwork under this bridge.